RE: If I do postgraduation (M.Sc./M.S.) in Biology, what kind of jobs can I get both in India and abroad? 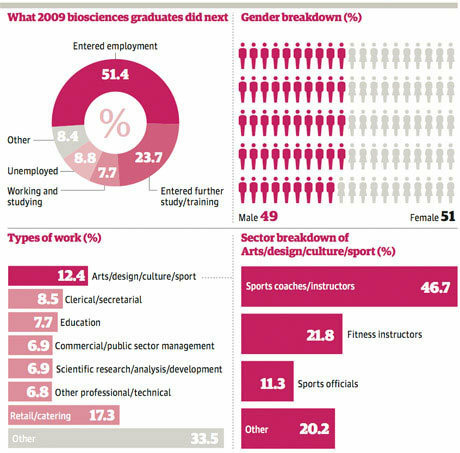 Those with specialization in biotechnology or genetics can take up job as bio technologists wit biotechnology firms. 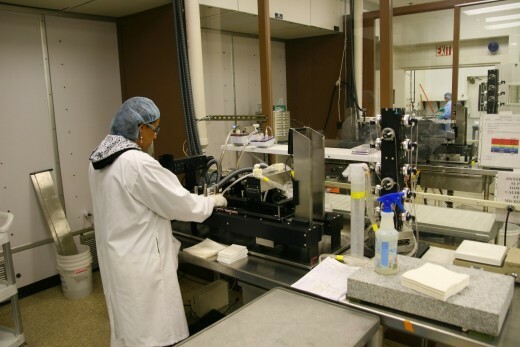 Bio technologists apply scientific principles to develop and enhance products , tools and technological advances infields such as agriculture, food science and medicine. 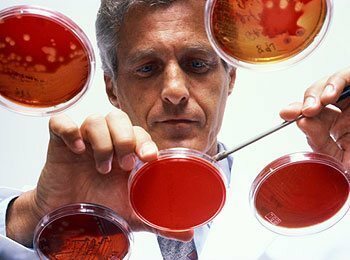 Biologists can work with research laboratories to carry out research to prevent the spread of rare and deadly diseases. They may also conduct research and carry out clinical trials to defeat illnesses such as tuberculosis, AIDS, cancer and heart diseases. Those specialized in environmental management and conservation can work with forestry, wildlife and fishery departments. Their work mainly involves solving environmental problems and preserving the natural world for future generations. Park rangers protect state and national parks, help preserve their natural resources and educate general public. Zoo biologists carry out endangered species recover programs. Forensic biologists can join law enforcement agencies to assist them in discovering and processing evidences that can be used to solve crimes. Biologists can work with pharmaceutical companies and providers of scientific products and services to research and test new products. Those with flair for writing can join science publication to write science journals with an aim to inform general public about relevant and emerging biological issues. Biologists after gaining few years of experience can take up the role of science adviser and work in collaboration with lawmakers to create new legislation on topics such as bio medical research and environmental protection. They can also take up the role of professor or lecturer in colleges and universities. 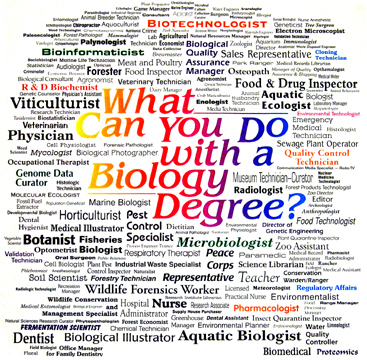 Is Biologist your Ideal Career? Take Ideal Career Test to know -->Click Here! M.Sc /M.S Biology includes Life Sciences (Botany, Zoology), Biotechnology, Bio-nanotechnology, bioinformatics, biophysics etc. It depends on your subject of your interest and opted specialization which is prescribed in detailed curricula of your studied program. Above listed qualification will be mandatory to be research scholar (Ph.D) and follwed by lecturer / university teacher which will give you exposure in teaching and research both. If you are not willing to pursue the higher studies than you can directly explore the openings (at entry level scientists) in biotech industries like BIOCON, SYNGEN, PANACEA BIOTECH, REDDY LAB, ITC BIOTECH, RELIENCE LIFE SCIENCE etc meant for Research and Development -RD sector even you can get job in pharma industry also. Apart from these referred jobs you can koin several Intellectual Property Right oriented jobs in govt and private sector. Not only MNCs, Pvt. Ltd even Govt agencies like DBT, DST, UGC, ICAR, and other govt sponsored research institutes will offer you excellent openings. These all references will not be common for all these companies, govt jobs, teaching jobs are highly specialized so be careful while opting your MS/MSc program you have to show your credential with your desertation which must be complemented in your study. Be careful you never try all the possibilites rather be one to one and judge your skill as per your strength. Most of the students after completion of their masters in biology or related subjects opt for a doctorate (PhD) degree, if they are really interested in research career. But a postgraduate can join various pharmaceutical and biotechnology based companies in Indian or abroad as a research assistant (RA). RA assists scientists to perform various lab activities. They can also join various government research organizations and universities as a JRF (Junior Research Fellow). JRF usually appointed for a temporary research based project under supervision of a Principle Investigator. Position ends up with termination of project. Besides this a PG in biology becomes eligible for applying to various selection procedure of Indian government for Scientist-B positions like ICAR-ARS, BARC and CSIR. They can also opt teaching career in school or colleges. but additional qualifications like B.Ed or NET (UGC) is mandatory for that. One could also join an Intellectual property (IP) based law firm as a patent analyst. IP is emerging trend in the field of biotechnology. Well M.Sc in Biology (Botany/Zoology/Life Sciences/Biochemistry/Microbiology/MarineTechnology/Nanobiotechnology etc) has wide approach to hit something according to your interest and suitability. Then one must try the best university/institute for the best post grad program in biology. Therefore you are suggested to explore the detail course structure of any course of your interest and start preparing structurally. In India Postgraduate program is stand alone program as well as integrated (M.Sc Ph.D) program both depends on the host institutes. How you will prepare for the entrance is not the primacy rather one has to think the pre-requisites about that course and your capability and preparedness with mind set in the real sense. Only getting erolled into the program is not the end of the story you have to fit into program and extract the best out of it. Anyways it was the preliminary job of any aspirant to do before realizing the jobs in any sector whether you exploring in India or abroad it does not make any huge difference. In India postgraduate students with Biotech get exposure in RD sector or Biotech company as a salesman or at any entry level in academic section everywhere you have to be specialized please do not try in vague manner or hit n trial it will bring you to the frustration. Either in govt jobs like DRDO, ICMR, DST, DBT at entry level of technical assistant or research assistant or qualify UGC-NET and then join any college or inter-collage as lecturer or do B.Ed and then join any private school or central school and enjoy teaching. After PG degree you can establish your own entrepreneurship just target any industry type and write very good viable project and convince the govt agencies like DBT or any private trust like WELCOME trust or any other good firm for the financial help certainly you will get your job done. Dear Aspirant, from your question, it seems that either you are currently studying post graduation in Biology subject or you are planning to do that. Let me explain you that a post graduate in Biology have good opportunities in India and abroad. The Indian universities offers degree in allied subjects of Biology such as Botany, Zoology, Microbiology, Biotechnology, Environmental Sciences, Genetics, Biochemistry and many more. All these subjects have great job opportunities in government and public sector in India and abroad. Compared to Botany and Zoology the other subjects are quite in demand. After obtaining your post gradute degree in a particular subject, you may look for research positions in Universities, or research institutions. The positions are of SRF (senior research fellow) or JRF (junior research fellow). These are not permanent positions and they are time bound or valid till the research project is going on. Generally the duration is from 24 months to 60 months. Most of the institution also require or prefer a National Eligibility Test (NET) certificate. This you have to get after appearing in competitive examinations conducted by UGC-CSIR or ASRB (ICAR). The subject you can choose relevant to your master degree. Some private organization involved in research and development (R&D) activities also require fresh or experienced post gradue in Biology. Here NET is not required. In private organization you will be able to work in quality control department or other technical work realted to your subject. The chances of growth depends upon your performance. Now job opportunities for post graduate in Biology do have many job opportunities abroad. There are many research based industries or private companies involved in manufacturing of dairy products, pharmaceutical companies, beverages, seed companies, food based industries. You can join any one of these as technical person. There are various desgnations depending upon the type of job. Here the chances of growth is more, since day by day you are getting technically more qualified. If you are able to do work perfectly and technically correct, then you can go for higher position. Same job opportunites are also available in Indian market, if you also obtain a degree in MBA by correspondance then, being technical person you will be also able to look after management or administrative aspects. Thank you for choosing Career guide and writing to us. A post graduate degree qualification always offers a better standing for graduates in search of a job. And moreover with a degree in science subject like the Biology, you are definitely standing up with great job scope. A masters degree in Biology can give you career both in India and abroad. If you are a fresher with no work experience, then you have less job scope for finding jobs abroad. As a Biologist you can work at research labs either government approved or even private research clinics. Depending upon your research interest you can work for specialist research centers. For example if you have studied horticulture as your main specialisation as part of your masters degree, you can work for Horticulture research center. If you are specialised in potato research, you can work for potato research labs. Like wise you can work for the appropriate research labs according to your specilalisation in your degree. Education sector: If you have interest in working for education centres this may be the choice for you. After a Masters, you can write UGC NET/ UGC LEC exams and with this national qualification you are eligible to work as a lecturer for Biology in any state within India. Alternatively if you want to work only within your state, you can also appear for UGC SET exam. Hospitals: You can also work as a biologist in either government or private hospitals. You can analyse biological samples, tissues and cells of patients in hospitals while studying the patients' conditions. Biotech companies: As a Biologist you are also eligible to work in Biotech companies or any life sciences that deals with human, plants, animals or micro organisms. Not really only biotech degree holders can work in such companies but also students with biology degrees can do as well. Education sector: With a Masters degree from India, you can apply for PhD research position abroad. Most of the PhD students studying abroad are salaried, like they receive a general stipend and tuition fee waiver as well. These PhD students are treated as salaried employees and they are tax free. Private research clinics: You can work for private research clinics like the cancer research center, stem cell research center or heart research center attached with national hospitals or state hospitals. Pharma companies: You can also work for biotech or pharma companies abroad but please remember as a fresher with an Indian degree your chances of company jobs are relatively low but if you have had at least a minimum of three to five years of work experience then you have comparatively good chances of being hired abroad. Career COUNSELLORS For - If I do postgraduation (M.Sc./M.S.) in Biology, what kind of jobs can I get both in India and abroad?